Everyone knows that April showers bring May flowers, but a lot of us try to forget that April brings with it another very important part of the year: Tax Day. This year, Tax Day – which is normally April 15 – will be Tuesday, April 18, 2017, due to the 15th falling on a weekend day (Saturday) and the 17th being the federally observed holiday for Easter. But for you (and anyone who files Form 1040), that deadline could be extended by six months to October 2017! All you have to do is complete and submit the 1040 extension Form 4868 to the IRS by your original deadline, which we’ve established is April 18. Keep in mind that Form 4868 does not extend the amount of time you have to pay any taxes owed and is a federal extension form. So if you need an extension for your state filing, you’ll need to figure out if your state requires any additional application form(s). Like extension Forms 7004 and 8809, you don’t need to have an explanation for why you’re requesting a personal tax extension with Form 4868. And like extension Forms 7004 and 8809, you can quickly and easily e-file Form 4868 with our sister product, ExpressExtension! 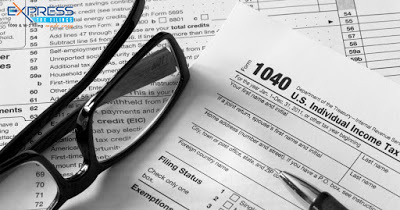 Once you submit, you’ll even receive an email confirmation – usually within 15 minutes – that your Form 4868 has been accepted, something the IRS doesn’t provide if you paper file. To learn more about how to e-file with ExpressExtension, visit their site or check out the video below! You can also give us a call and we’ll direct you to a friendly ExpressExtension team member, or you can call them yourself at (803) 514-5155.